The BWF named the candidates for its 2017 Player of the Year and Most Promising Player awards this week and Chen Qingchen of China and Denmark’s Viktor Axelsen are the only World Champions on the shortlists, where Superseries standouts predominate. 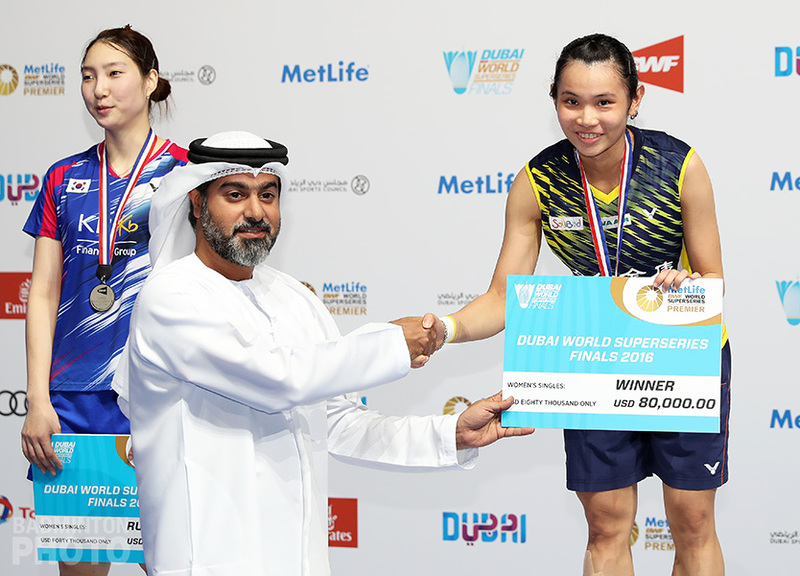 For the fourth straight year, the Badminton World Federation (BWF) will be giving out its Female and Male Player of the Year awards for 2017 at the Gala Dinner preceding the Superseries Finals in Dubai. 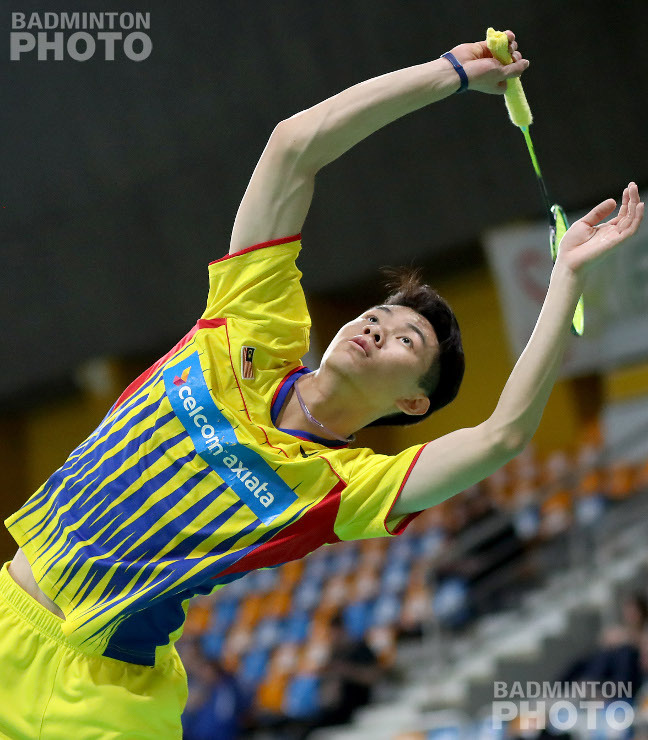 Six women and five men (including one doubles pair) have been named as candidates, while five players have been nominated for the Eddy Choong Award for Most Promising Player. 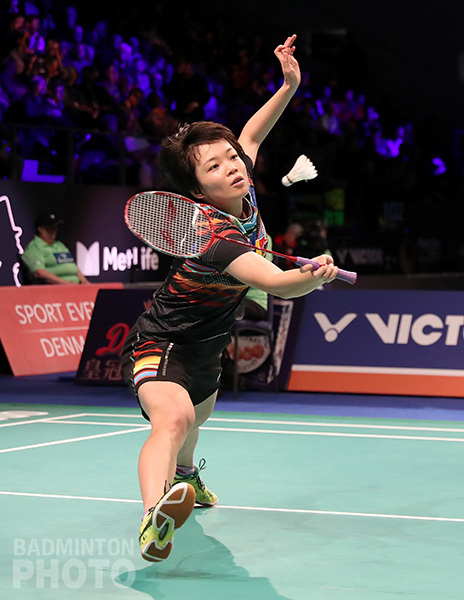 Last year’s Eddy Choong Award recipient, Chen Qingchen is up for the Female Player of the Year and is among the favourites as she is ranked world #1 in both women’s and mixed doubles. 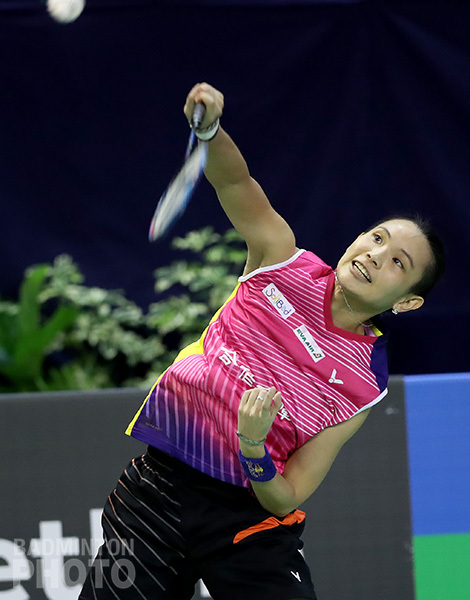 Both she and fellow candidate Tai Tzu Ying have been ranked #1 for the entirety of 2017. 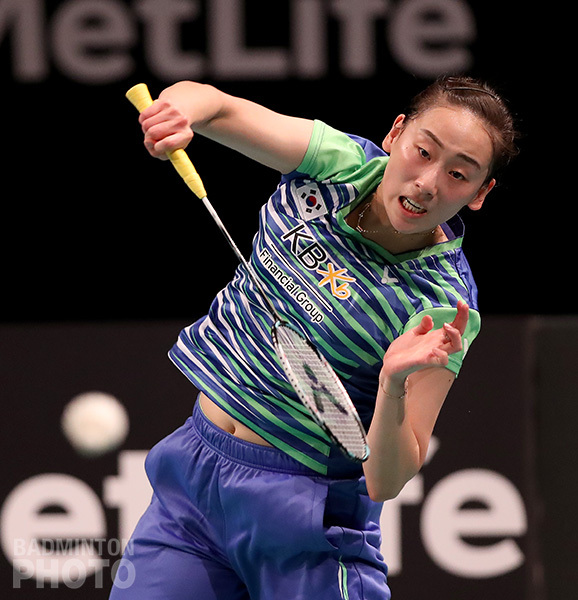 Meanwhile, Chen’s women’s doubles partner is the only current world #1 who was not nominated. 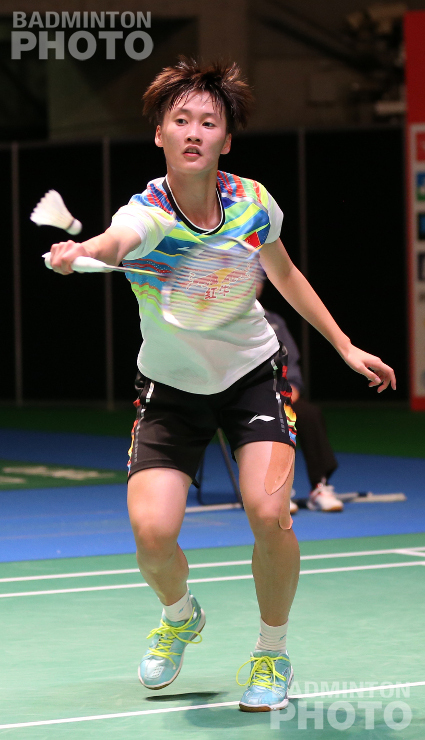 In addition to Chen and Tai, the candidates for Female Player of the Year are World Championship runner-up Pusarla Venkata Sindhu, who also won two Superseries and one Grand Prix Gold title; Akane Yamaguchi, winner of the German and China Opens; Huang Yaqiong, the only female player to win 6 Superseries titles in 2017; and Lee So Hee, who won 2 Superseries and 3 Grand Prix Gold titles and appeared in an additional 4 Superseries finals, with 3 different partners. 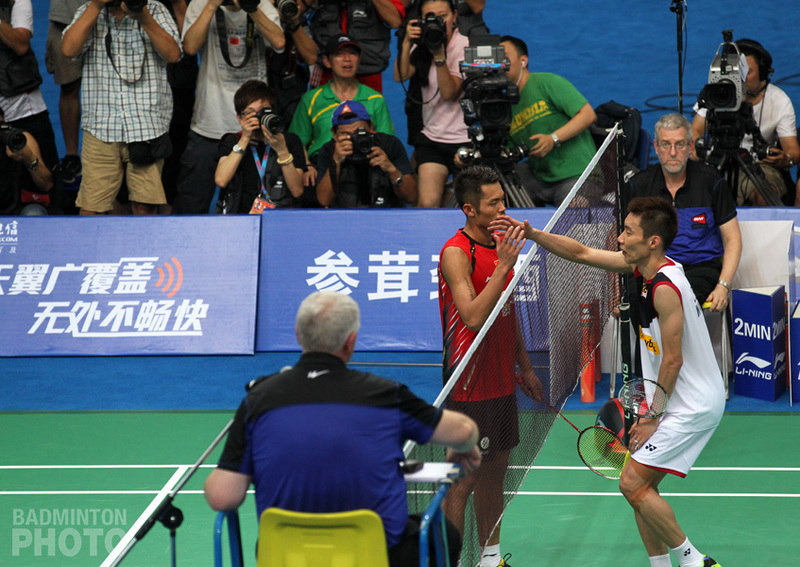 Going by titles alone, Chen, Tai, and Huang are very evenly matched with 5, 5, and 6 respectively in the Superseries. 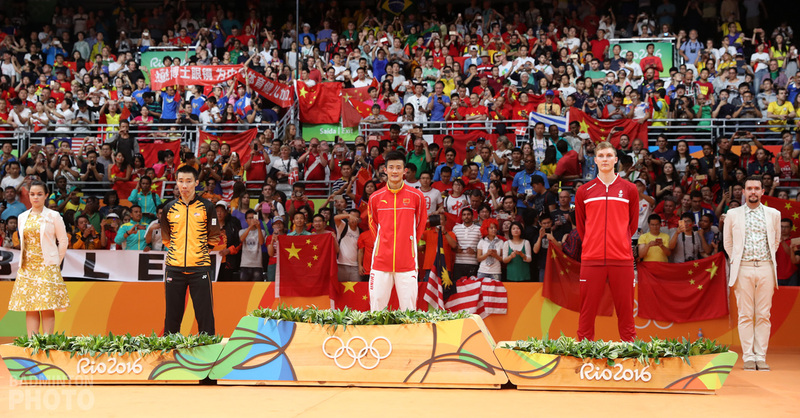 In addition to those, Huang Yaqiong had 2 Grand Prix Gold and one Asian title, Tai Tzu Ying had an Asian title and a Universiade gold medal, and Chen Qingchen of course won the World Championship. 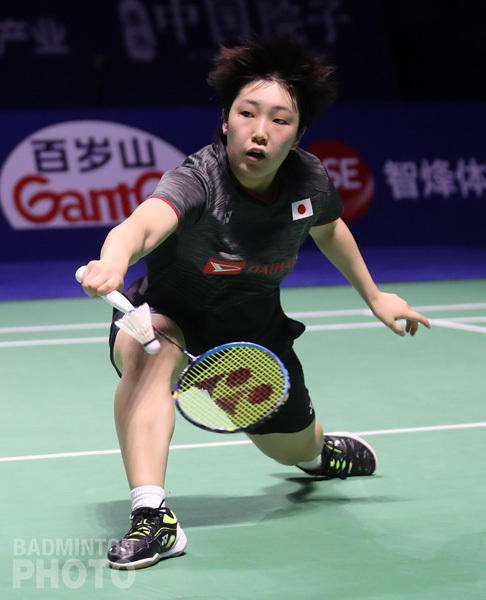 Akane Yamaguchi is the only candidate with an Asian Mixed Team Championship title this year, while Lee So Hee is the only one who is a member of the Sudirman Cup-winning team. The only World Champion other than Chen Qingchen who is up for a Player of the Year award is Denmark’s Viktor Axelsen. 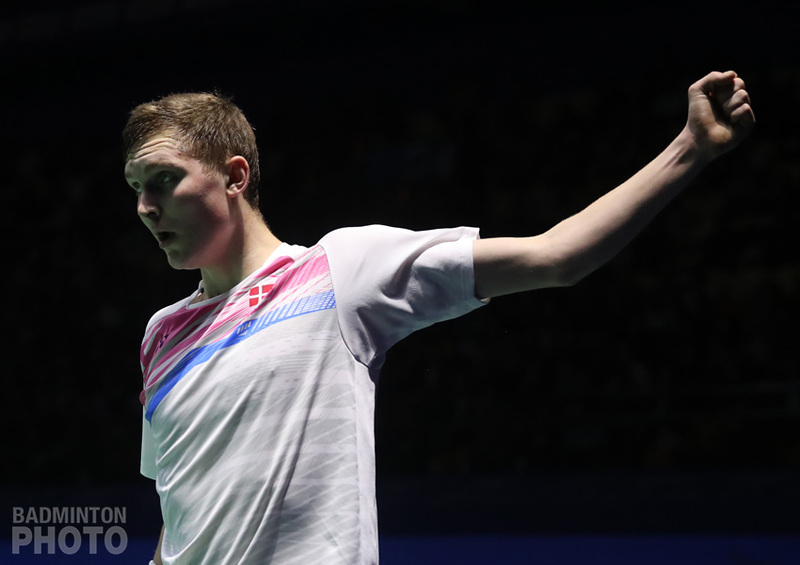 World #1 in men’s singles since the end of September, Axelsen is the only candidate in the male category with only 2 Superseries titles. 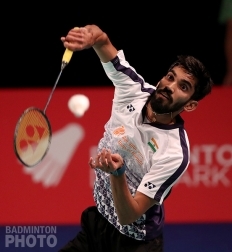 Zheng Siwei, the only man who has been ranked #1 in the world all year, has 4 Superseries titles and one Grand Prix Gold, India’s Srikanth Kidambi has 4 Superseries titles, and Marcus Fernaldi Gideon / Kevin Sanjaya Sukamuljo have 6 Superseries titles. The odds are against Zheng Siwei. 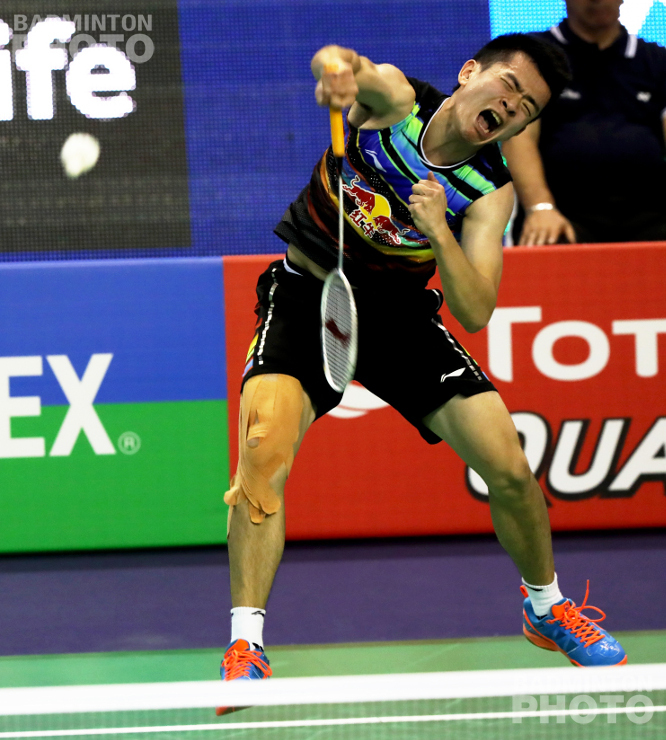 As impressive as his record is this year, no male doubles player has won Player of the Year honours since 2002, when Kim Dong Moon won the award, which at that time was not separated by gender. 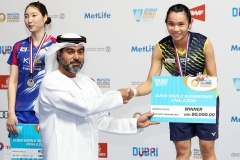 Since then, doubles specialist Zhao Yunlei won Female Player of the Year in 2014 and awards have gone to one mixed pair, one men’s doubles, and one women’s doubles pair in that 15-year period. 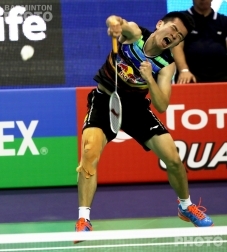 The Eddie Choong Most Promising Player of the Year award is the only one granted without heed for gender. 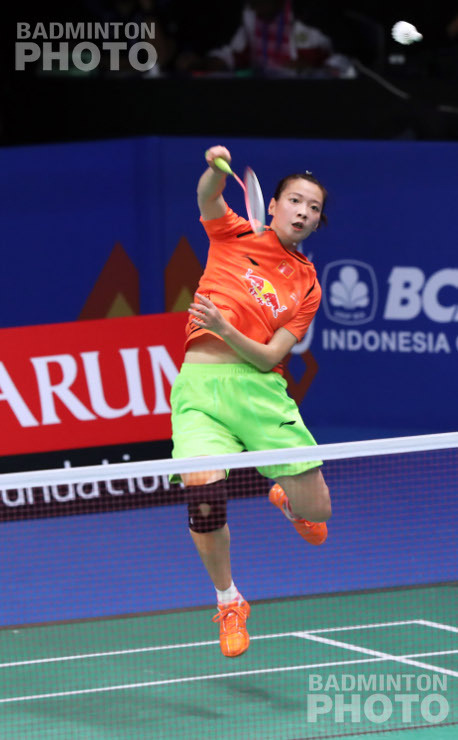 Of the candidates for the 2017 award, Gregoria Mariska is the only reigning World Junior Champion, while fellow Indonesian Apriyani Rahayu is the only one with a Superseries title, to which she added a Grand Prix Gold title. China’s Chen Yufei is the only one other than Rahayu who has spent time in the world’s top 10 this year. 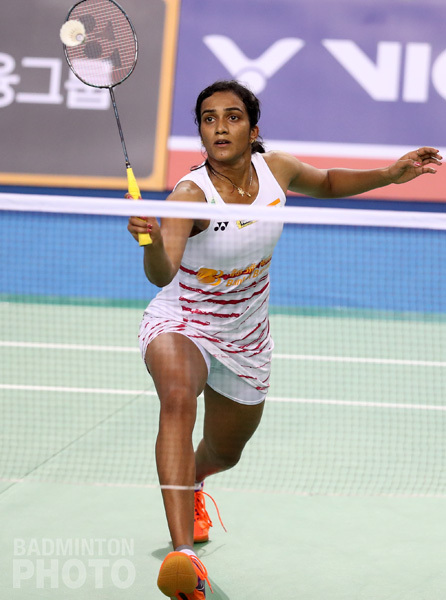 She is one of 3 candidates who have not won a major title in 2017, the other two being India’s Satwiksairaj Rankireddy and Lee Zii Jia of Malaysia. 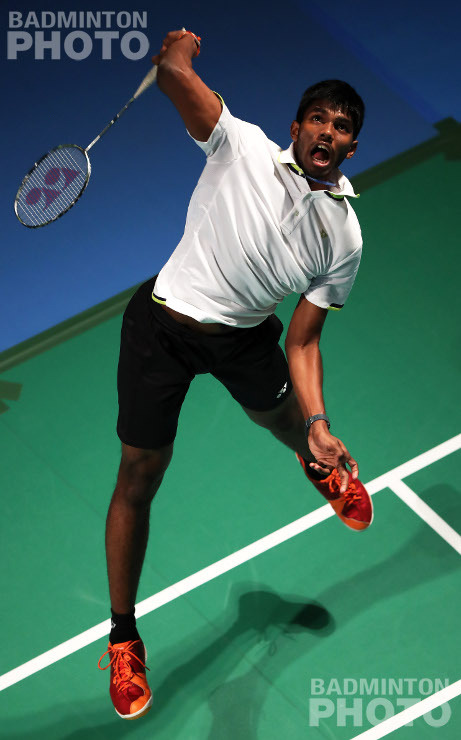 Not among the candidates are several teenagers who won multiple major titles in 2017 but were evidently not judged by the BWF to show as much promise as the other five. 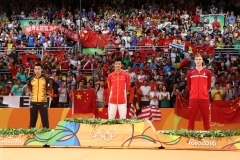 They include He Jiting and Du Yue of China, who won two Grand Prix Gold titles, and Kim Won Ho of Korea, who won one Grand Prix and one Grand Prix Gold and was in three other finals. Several other players won multiple titles then turned 20 before the end of the year, including Seo Seung Jae, Lin Yinhui, Saena Kawakami, and of course, Chen Qingchen and Jia Yifan. 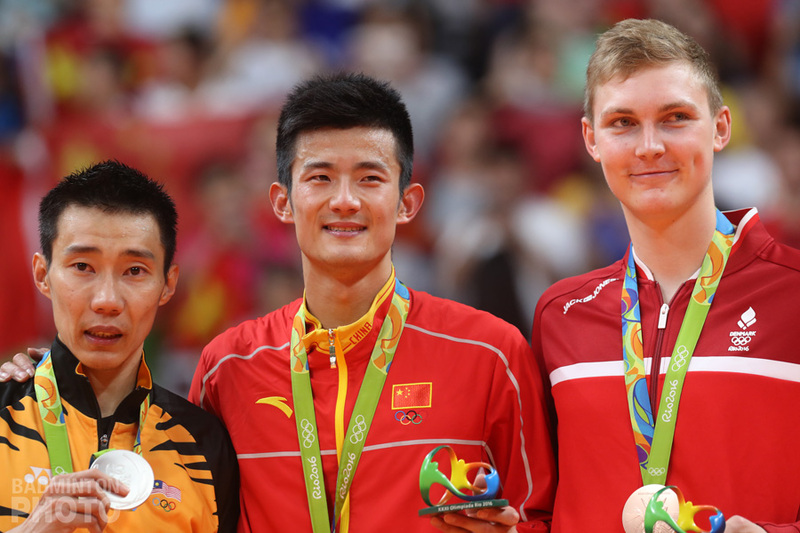 In the last 4 years, the only Eddy Choong Award candidates over the age of 20 were Li Junhui / Liu Yuchen last year and they did not win. The Players’ Reception and Gala Dinner will be held in Dubai on Monday evening.